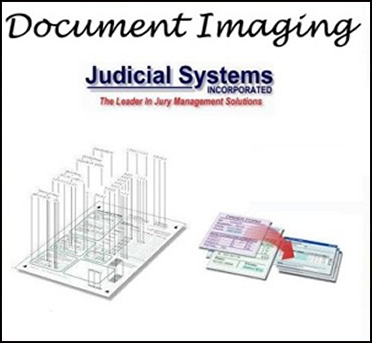 Jury Management Products - Judicial Systems, Inc.
For 35 years, Judicial Systems has been renowned for the simplicity, reliability, and ease of use of it’s Jury Management Solutions. So when it came to designing the enhancements for the next version of our Jury Administration System and it’s associated modules, we had a single goal: to make a great thing even better. Version Jury2019Plus continues this innovation by incorporating the latest and most advanced Microsoft technologies offering immediate enrichment, while also smartly setting it up for the future. The Jury2019Plus Jury Management System is the most advanced, integrated jury management system available. Because no two courts are alike, Jury2019Plus, the most comprehensive Jury Management System on the market today, is designed to match each court’s unique requirements. 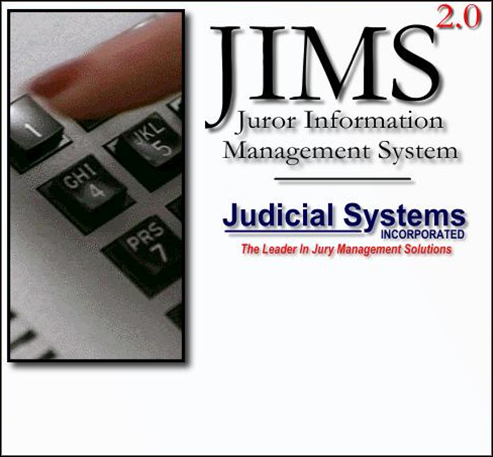 With the Juror Information Management System (JIMS), a significant reduction in the amount of time your staff spends responding to routine juror telephone calls can be realized. JIMS allows prospective jurors to obtain their qualification status and retrieve reporting information over the telephone 24-hours-per-day, 7 days-a-week. Judicial Systems, Inc. introduces 24 hour a day web access. Jurors can visit your Web site to find answers to commonly asked questions, accept service, view instructions for the next day’s service, obtain work certification documentation and request exemptions or deferrals according to your court specific policies. 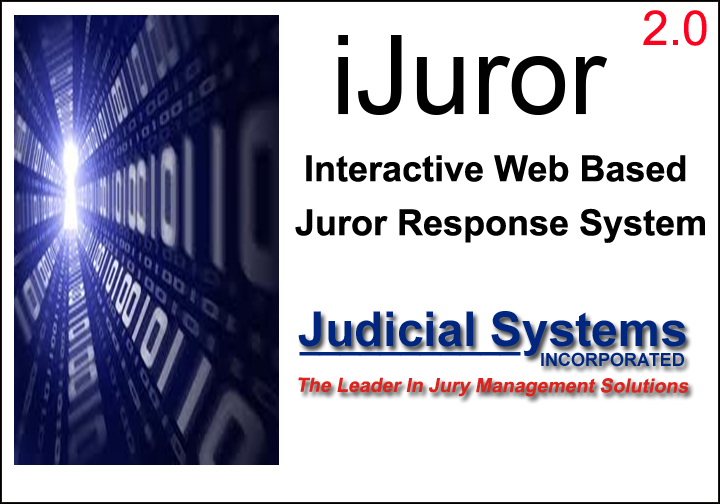 Judicial Systems, Inc. has developed and imbedded natural language processing (NLP) algorithms into one of our jury management products, mJuror. mJuror receives text or email input from a potential juror , in “everyday language”, and evaluates the meaning of the request. mJuror then provides an accurate response to the potential jurors inquiry. 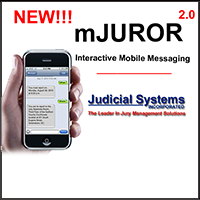 This enables jurors to hold two-way meaningful conversations with mjuror in a humanlike, intelligent manner. Judicial Systems, Inc. provides courts with a seamless data and image capturing solution. Through the use of Intelligent Character Recognition (ICR), Optical Character Recognition (OCR), Optical Mark Recognition (OMR) and barcode reading, juror qualification questionnaires and summons profiles can be digitally scanned to make processing more efficient. The all NEW Automated Check-In Station will allow Jurors to check-in and out quickly and efficiently. 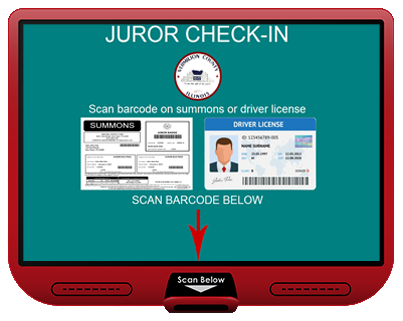 Jurors can scan their Driver License or their Summon barcode to check-in, for Jury pool or active case attendance and to reprint their Juror Summon if needed. Voir Dire Manager allows real time processing of Jurors in the courtroom. 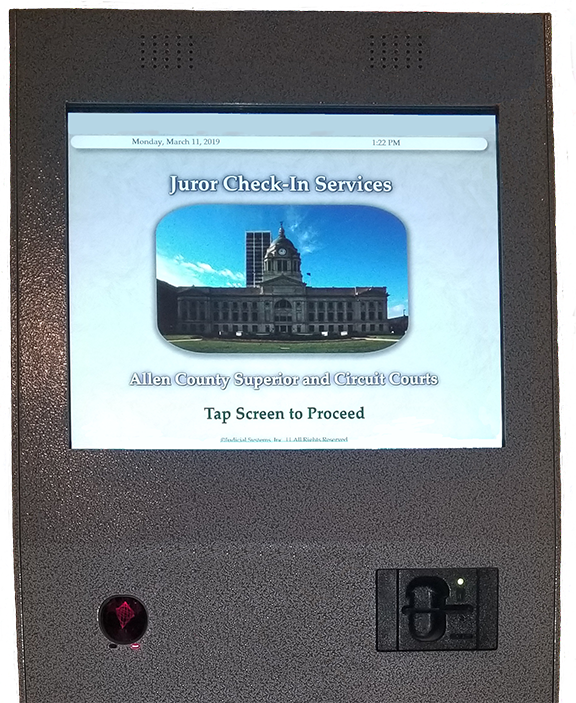 Judges, attorneys and court personnel are able to view real time updates via a courtroom appointed electronic device. 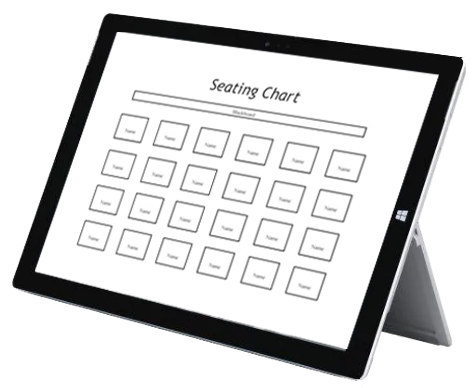 No more legal pads nor handwriting Juror names or drawing seating charts by hand. 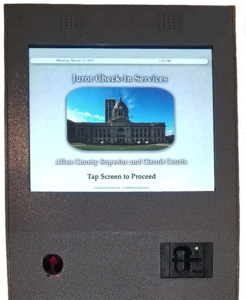 Judicial Systems, Inc. Kiosk is designed for jurors to perform self-service functions without the need of engaging court staff.